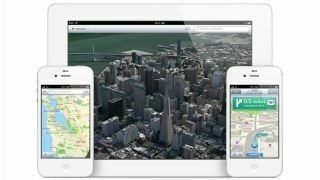 Apple Maps' plans to finally bring public transit directions with iOS 9, but may only in be available in a half-dozen cities. The first version of Apple's bus, train and subway navigation lands in San Francisco, New York, Toronto, London, Paris and Berlin, according to 9to5Mac. The service reportedly could also extend to cities in China. That sounds ambitious, but Apple has struggled to bring public transport directions to its maps service for years. Even after the purchase of Embark and Hopstop, which would provide transit data for over 600 cities, Apple Maps has yet to release a way to find your next bus stop. Although its arrival is sure to be music to the ears of many people in those cities, it won't help the vast majority of people. Public transport use in the US reaching its highest numbers in nearly 60 years, yet the progress that Apple has made in the nearly three years since Maps was released feels underwhelming. It's possible that Apple is striving to take its time with the release of transit directions, given the backlash that Maps received when it arrived. Reportedly, Apple will begin adding cities as they become ready with an over-the-air rollout, rather than another iOS update, and will include Boston and Tokyo next. If you're not in the lucky group that can use Apple Maps' new public transit service, you'll just have to find your way around the old-fashioned way, Google Maps.